While I still have my list of gifts I have to get this season, I can't help but grab a few items for myself with the ridiculously crazy sales. 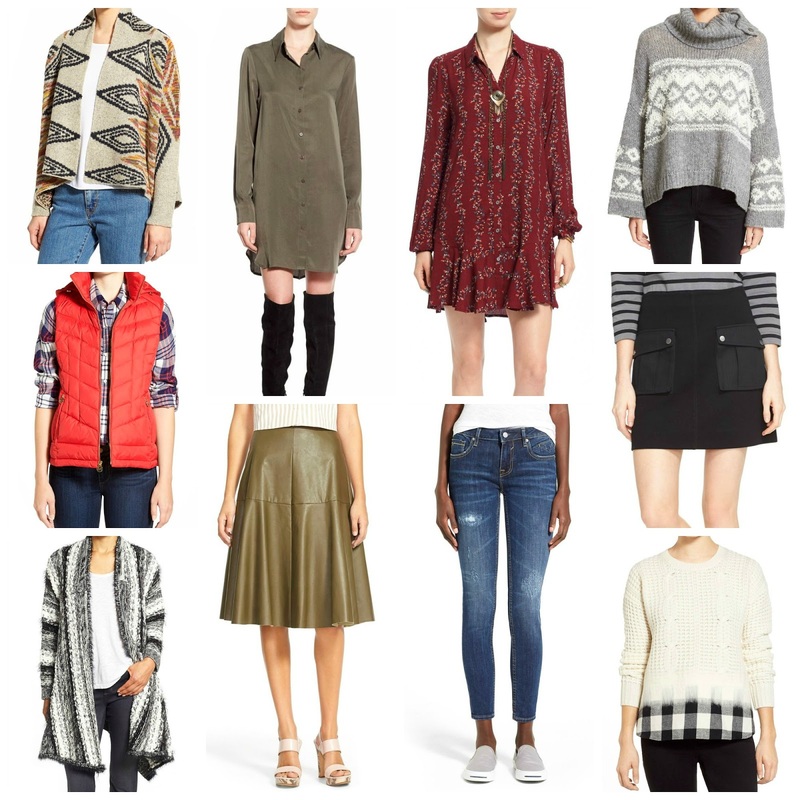 Above is a look at some pieces that have caught my eye and ALL ARE UNDER $150!!! I know, I know. It's almost as if they are paying us to buy these things. Ok, that's a bit of a stretch, but some of the above items are such great steals that it feels that way. Some of my picks: Loving this sweater dress, fair isle sweater, tunic sweater and this plaid coat is my favorite item from the whole site! My picks: This chambray blouse, this tunic with lace detail, this midi skirt with amazing detail, this striped skirt and this blanket coat. My picks: I am loving this fair isle sweater, and this fair isle sweater with sequins, this faux leather midi skirt and this puffer vest. My picks: this pom-pom beanie, these metallic loafers and these classic skinny jeans. My picks: this graphic clutch, this adorable dress, these ankle boots and this wrap coat.